NEWPORT BEACH — The public is invited to the opening of ExplorOcean’s newest exhibit: “Roz Savage — 5 Million Oar Strokes” at the Newport Harbor Nautical Museum, April 4. As part of the museum’s Extraordinary People gallery, the exhibit chronicles Savage’s journey as the first woman to row across the Indian, Atlantic and Pacific oceans. Savage will attend the opening of the exhibition, scheduled to begin at 6:30 p.m.
As a National Geographic Explorer of the Year, Savage uses her ocean rowing adventures to inspire action on the top environmental challenges facing the world today, according to ExplorOcean. The exhibit will showcase Savage’s journey from initial preparation to execution, and how she overcame personal challenges along the way. Visitors can see her 23-foot boat, Sedna, up close, along with other items. ExplorOcean’s Extraordinary People gallery displays exhibits on diverse and iconic heroes. 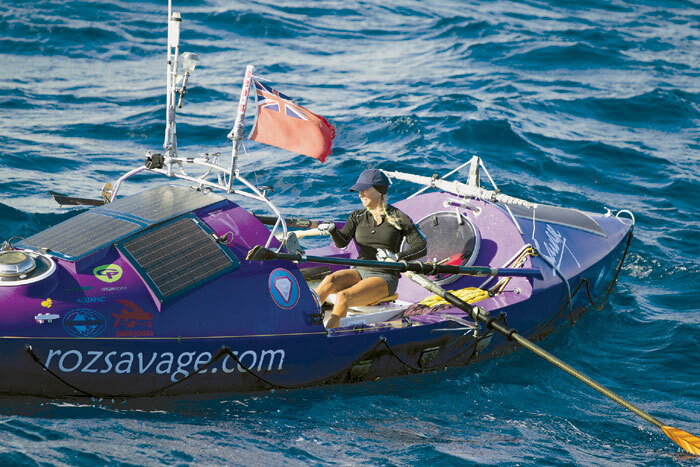 Savage, a four-time world-record holder for ocean rowing and the first woman to row three oceans, has rowed more than 15,000 miles in her lifetime. She embarked on her first journey in 2005 when she rowed through 20-foot waves, righted her boat after being capsized three times in 24 hours and experienced dehydration when her water filters broke. Named a United Nations Climate Hero and an Athlete Ambassador for 350.org, Savage is also a Fellow of the Royal Geographical Society and an International Fellow of the Explorer’s Club of New York. She has been listed as one of the Top 20 Great British Adventurers by the Daily Telegraph. In 2010, she was named Adventurer of the Year by National Geographic. The opening celebration for the “Roz Savage — 5 Million Oar Strokes” exhibit in ExplorOcean’s Extraordinary People gallery is scheduled for 6:30-8 p.m. April 4 at ExplorOcean; 600 E. Bay Ave. For more information, visit explorocean.org or RSVP by calling (949) 675-8915.